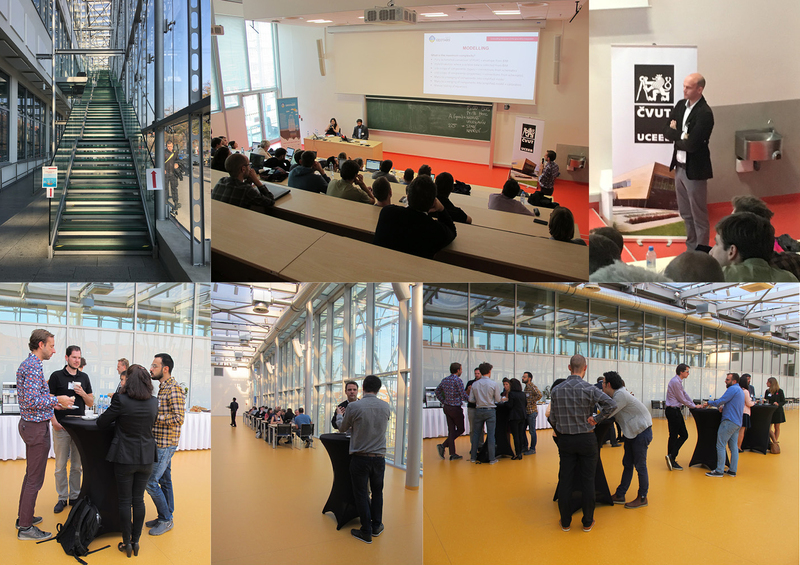 Our Prague Workshop on MPC on Weds 17th October was a successful event. We had around 70+ attendees in person and via webinar, which proved to be a dynamic and discursive day. Lots of conversation and discussion about the implementation and success of using MPC in other buildings in Europe, and the rest of the World. It was also a chance to forge connections with other specialists in the field and develop further potential collaborations. The workshop was very well attended by external industrial and academic stakeholders from all over Europe and beyond (ES, UK, BE, CH, AT, CZ, SE, NO, US, CA), along with the webinar which was also popular, for those who could not make the event, to be able to dip in and out of workshop during the day. This suggests that the MPC-work done by the hybridGEOTABS consortium is intensively followed by many specialists worldwide. Large control companies (Siemens and Honeywell) attended, as well as the smaller MPC company Building SynaptiQ – 3E, along with UK based researchers and specialists in MPC from the University of Sheffield and Strathclyde University. Prof. Martin Kozek from TUWien is writing a Springer-Verlag book on MPC in Automation of Buildings and will add the white box MPC approach, for which KU Leuven will give input, incl. de demo-cases of the hybridGEOTABS project. Connection to BIM was proposed multiple times, suggesting a move to more advanced BIM that includes energy system manufacturer data.